Eat as part of a balanced diet & healthy lifestyle. Like most people, I grew up being told to eat more veg. It turns out my Mum was right, but not just for the good of my health. It's pretty clear that we have a responsibility to change the way we eat. Put simply, we need to eat less meat and more plants. It's better for our wellbeing, kinder to the planet and of course, delicious. 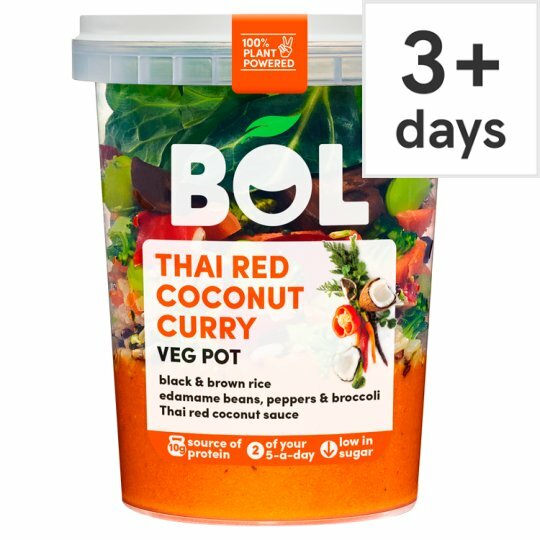 At BOL, we're on a mission to make it easy for you to eat more plants, especially when you don't have the time to cook from scratch. So whether you're an omnivore or a vegan, we hope you like what we've created for you. Keep chilled (0-5°C), Once opened, eat within 24 hours. Not suitable for freezing., For use by date see top of pack. Pour into a saucepan or wok with 2 tbsp water. Stir whilst on a low/med heat for 6-8 mins until hot. Pour into a bowl. Please re-use pot. After opening, place the lid on loosely. Heat for 2 mins, then stir. Heat for 1 final minute, then rest. Remove lid carefully and enjoy.